The first episode of season 8 of Game of Thrones has finally aired. After a brief hiatus and aching anticipation for fans, the eighth season finally aired. And sure, the first episode got everyone hooked. The internet is currently buzzing with netizens reacting to every small detail about the show. Right from Jon Snow and Arya Stark's reunion to Bran Stark and Jamie Lannister coming face-to-face after eight long seasons, everything about the first episode was as epic as speculated. However, there were a few characters missing in action. 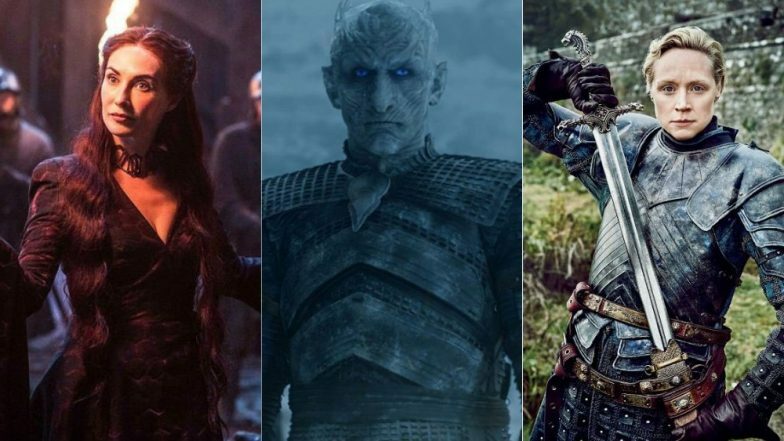 As stated earlier, the first episode of Game of Thrones season 8 had quite a lot of reunions, naked men and women, favourite characters and a few revelations too. All the important characters such as Sansa Stark, Jon Snow, Daenerys Targaryen, Arya Stark, Jamie Lannister, Cersei Lannister, Tyrion Lannister, Bran Stark, the dragons, etc were all present. Even the Hound was present for the first episode of season eight. However, there were a few characters, important ones, who were missing in the first episode. They are mentioned below. Why would the Night King not be mentioned in the first episode? He was the face at the end of season 7's last episode right? He did wage a war against all thee nations and ensured that all the nations who are at loggerheads would come together to fight him and his army. So his absence was duly noted. Brienne of Tarth is still alive but her whereabouts are yet to be deciphered. We did expect that perhaps in the first episode, she will receive some screen time and even a bit of information on what's up with her. Last, she was with Sansa, guarding the Lady Stark at all times. If they brought same back, where did Gilly go? One of the many daughters and wives of Craster, she should have been present along with Sam for his reunion with Jon Snow. Then how come she was not present? The gorgeous Red Priestess, Melisandre of Asshai, who was responsible for reviving Jon Snow back to life, literally went missing. Sure, we are certain that she plays a pivotal role in the eighth season because of her powers and mortality. But how come the character seems disappeared since her last "terrible mistake"? We sure would like to know! Interestingly, while Brienne of Tarth was nowhere to be seen in the first episode of Game of Thrones, Podrick Payne was present in the first episode. For a guy who has quiite a pivotal role considering his alliance towards Brienne of Tarth. He did accompany her back to Winterfell in the previous season. He wasn't absent unlike Brienne but he sure barely had a scene worthy enough of mentioning.